If you are one who likes to get more out of your games by way of added extras, then The True History of the Strange Brigade book will be for you. Available now from £4.31 from the likes of Amazon, Google Play or the Rebellion Store, it provides some background behind the 1930’s heroes of the Strange Brigade. This merry lot can be found travelling the world, discovering ancient treasures Indiana Jones style and occasionally having a run-in with supernatural threats. Their adventures will be playable in the upcoming co-op title Strange Brigade, purchasable on Xbox One, PS4 and PC come the end of the month. 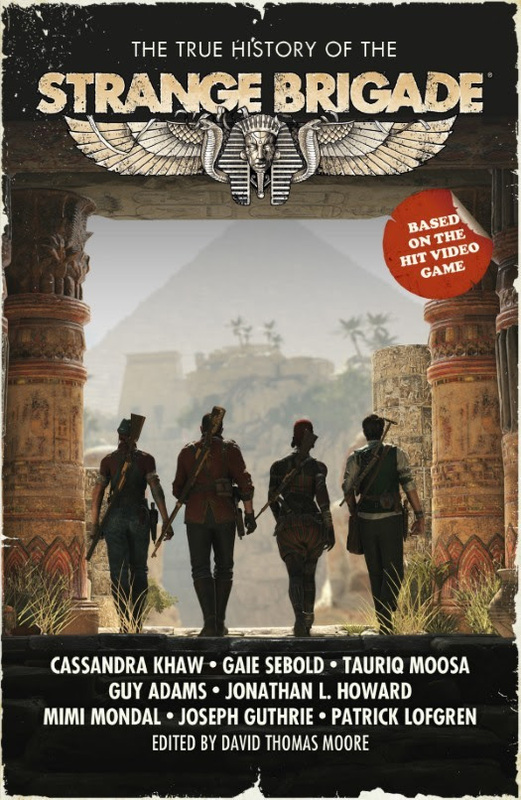 With a number of small stories written by five acclaimed authors to be found within, the book focuses on unique, never-before-heard tales regarding the four fearless members of the Strange Brigade. From the straight-up bizarre to the more gruesome of tales, these sharp snippets of lore should make for an exciting and addictive read when you find yourself away from the console. Cassandra Khaw (@casskhaw) works as the business developer for Singaporean publisher Ysbryd Games. By night, she moonlights as a freelance technology reporter for places like PC Gamer and The Verge, while still writing exorbitant amounts of fiction. Gaie Sebold (@GaieSebold) has written several novels, a number of short stories, and a slightly disturbing amount of poetry. Her novels include Babylon Steel, the sequel Dangerous Gifts, and Shanghai Sparrow. She lives in leafy suburbia with writer David Gullen and a paranoid cat. Tauriq Moosa (@TauriqMoosa) is a contributor to the Guardian, Daily Beast and other publications. He focuses on ethics, justice, technology and pop culture. His work has been referred to by The New York Times, The Washington Post, Forbes and other places. He once debated Desmond Tutu about god. Guy Adams (@GuyAdamsAuthor) is the author of The Heaven’s Gate trilogy – The Good, The Bad, and The Infernal, Once Upon a Time in Hell, For a Few Soul’s More – as well as many audio adventures for Big Finish’s Doctor Who range. Jonathan L. Howard (@JonathanLHoward) has worked as a scriptwriter and video game writer, including writing credits on the highly successful Broken Sword series of video games. His first novel, Johannes Cabal the Necromancer, was published in 2009. Will you be giving The True History of the Strange Brigade a little look, or are you one of those just content with playing the game? Let us know below. Next articleBreaking down the official Red Dead Redemption 2 gameplay trailer!